5 Litres Heavy Duty TFR. 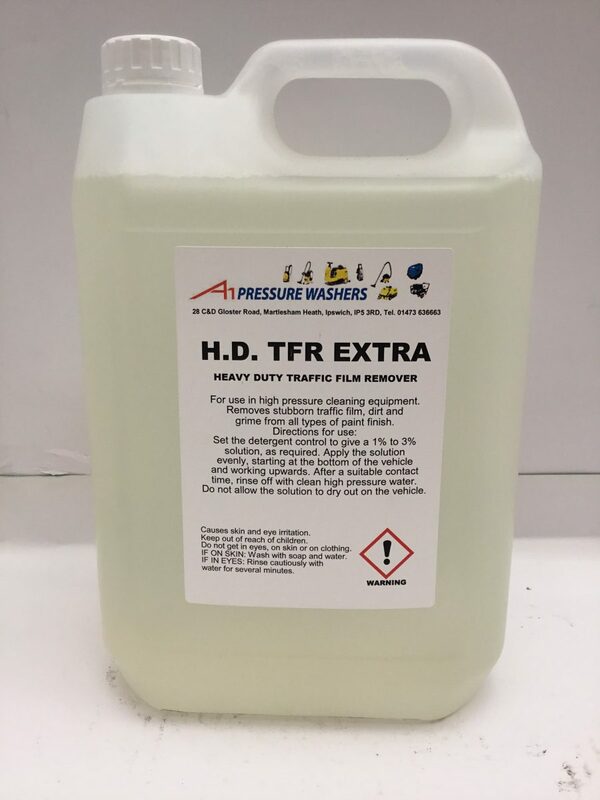 Multi purpose high pressure detergent. For use in conjunction with high pressure cleaning equipment. In strong sunlight or hot weather cool vehicle with cold water before applying detergent. Set the detergent control to give a 1% to 3% solution at the nozzle. Apply the solution starting at the bottom of the vehicle and working upwards, do not allow the solution to dry on the vehicle, after a suitable contact time rinse thoroughly with plenty of high pressure water.